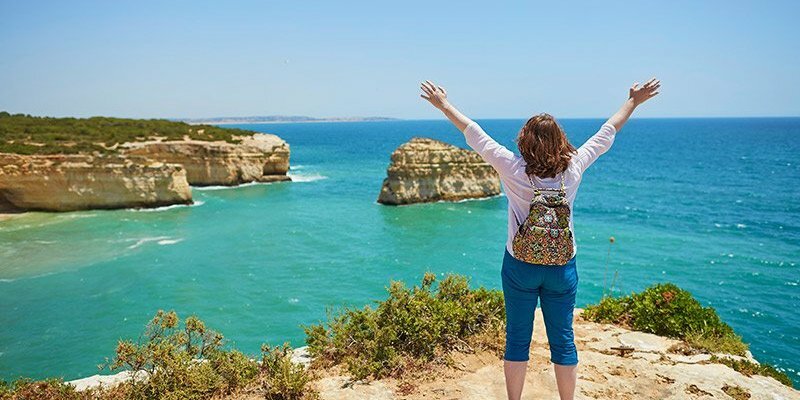 This dramatic headland presents one of the most impressive beaches in the Algarve. It lies three kilometres out of Lagos and is well worth visiting for its rugged sandstone cliffs. The wooden walkway leads to a remote sandy beach which is often quiet and peaceful. 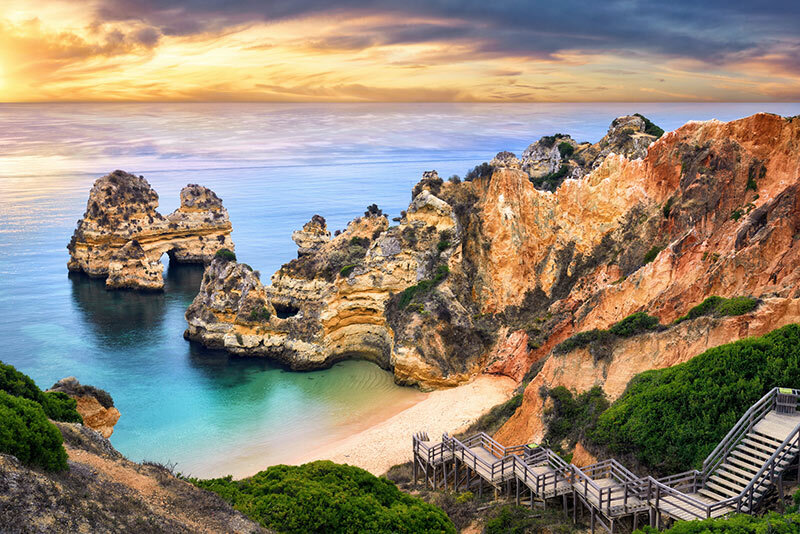 Praia dos Três Irmãos is a fantastic beach in Alvor for those who appreciate a good rock formation. Just look at these arches! The views are beautiful and the water is a clear blue which makes it perfect for swimming. This beach is easy to access with no steps and lots of parking. 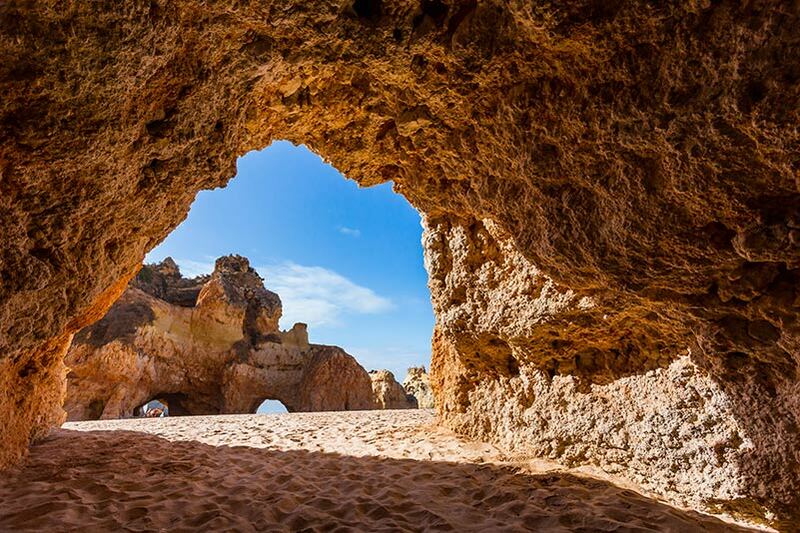 This magical beach with caves and golden sand is one of the best beaches in the Algarve. It's walking distance from Lagos town centre, so you can stroll on down after a delicious lunch at one of the many bars and restaurants. 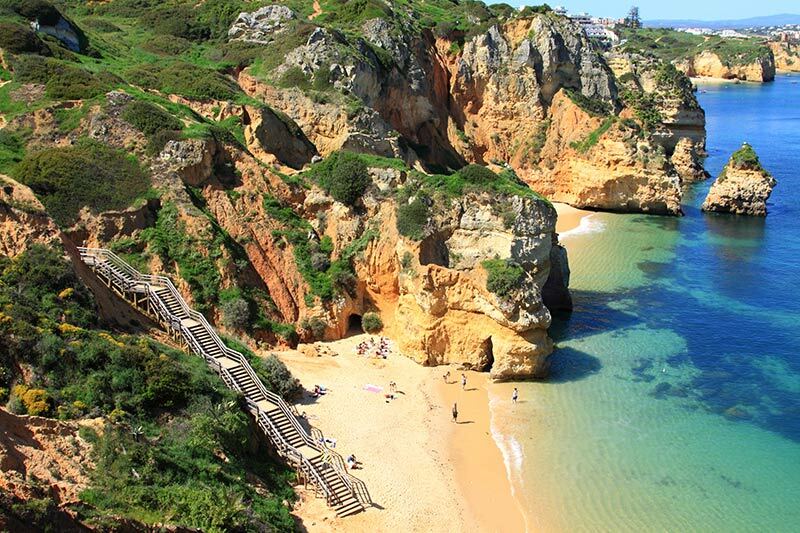 Just a few minutes from Lagos, this beach is often a little more crowded than the other beaches of the Western Algarve. There's a sailing club, bars and cafes for lunch, and there are volleyball and handball competitions throughout the summer, which makes this a fun and lively beach for all the family. 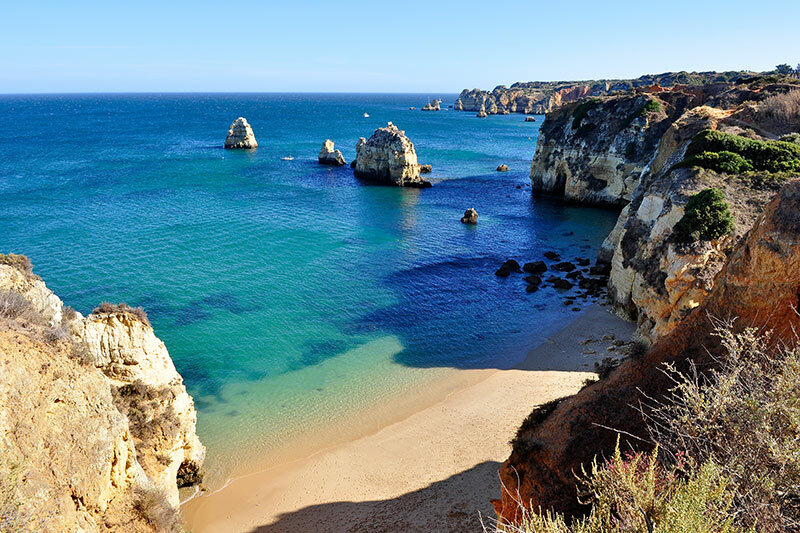 Dona Ana is considered the most picturesque beach in the Algarve. It's characterised by clear turquoise waters and colourful strata cliffs. This is another beach within walking distance to Lagos, so it can get crowded at the weekends during the summer. Do not miss this incredible natural beach near Lagos. There is a restaurant at the top which has amazing views and serves up delicious, good quality food. A perfect dining option to top off a great day at the beach. 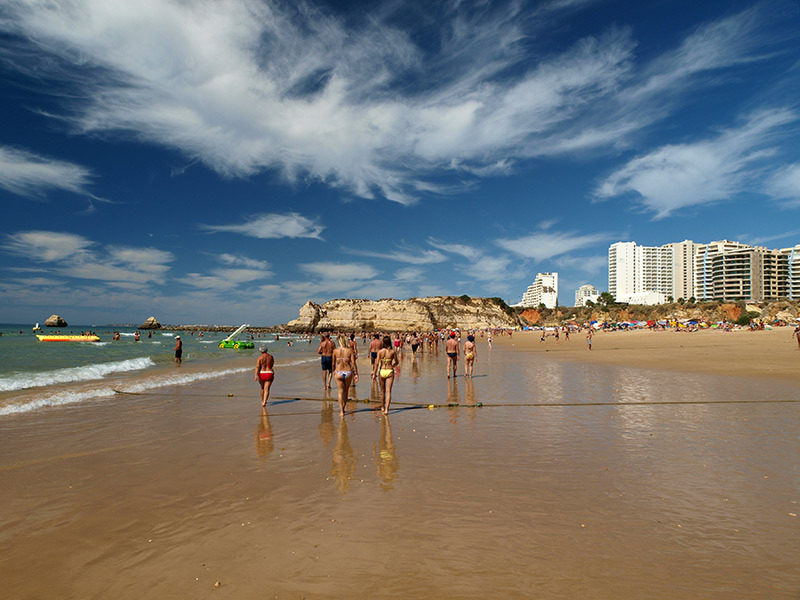 Praia da Rocha is a popular beach resort in Portimao. The main beach is large and easily accommodates lots of summer visitors. There are plenty of sunbeds and shades to hire for the day on Praia da Rocha. 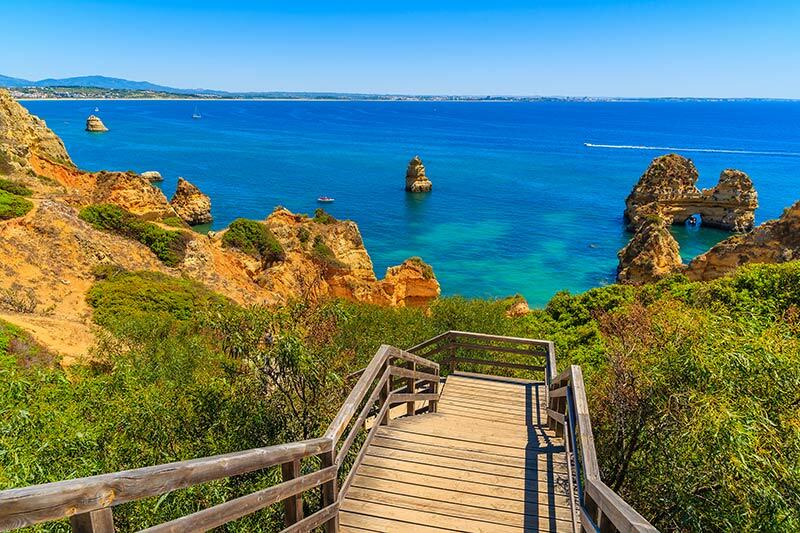 There are many watersports activities on offer, such as pedalos and banana boats, making this one of the best beaches in the Algarve for families looking for fun. Praia da Marinha is not particularly easy to access with a lot of steps taking you down to the beach, putting a lot of tourists off. But it's well worth the thigh burn to reach one of the best beaches in the Algarve. All this talk of beaches has got me wanderlusting big time...Take me to the beach! If you feel the same, you should take a look at our villas in the Algarve.